Started in 1974, Footlocker has always been at the forefront of sneaker design, being the first to introduce to the world a collection of athletic shoes in various models and types. Their exclusive partnerships with top players in the business means their range of sports clothing and footwear brands is unmatched in other stores. Browse the Foot Locker range via the 'Shop Now' button to earn Cashback on all of your sports apparel and footwear purchases. 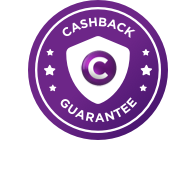 Cashback will not be paid on the purchase of Gift Cards or use of Gift Cards as payment.